While Trisvabhāvanirdeśa is arguably the most philosophically detailed and comprehensive of the three short works on this topic composed by Vasubandhu, as well as the clearest, it is almost never read or taught in contemporary traditional Buddhist cultures or centers of learning. The reason may be simply that this is the only one of Vasubandhu’s root texts for which no autocommentary exists.⁴ For this reason, none of Vasubandhu’s students composed commentaries in the text and there is hence no recognized lineage of transmission for the text. So nobody within the Tibetan tradition (the only extant Mahāyāna monastic scholarly tradition) could consider him or herself authorized to teach the text. It is therefore simply not studied, a great pity. It is a beautiful and deep philosophical essay and an unparalleled introduction to the Cittamātra system. This text also presents a creative union of ontology and phenomenology. Vasubandhu’s characterization of the status of the objects of experience is at the same time self-consciously a characterization of the character of subjectivity itself. Not only will Vasubandhu argue that we can only make sense of objects if we ascribe to them these three triune natures, but he will argue that a complete account of experience—especially of the experience of a sophisticated and accomplished philosopher or meditator—requires an account of three distinct kinds of subjectivity, which are related to one another as are the three natures themselves. This phenomenology is crucial to the soteriological purport of the system. For this is not speculative philosophy for its own sake, but a philosophical system designed to guide a practitioner to Buddhahood in order that she or he can work to alleviate the suffering of all sentient beings. 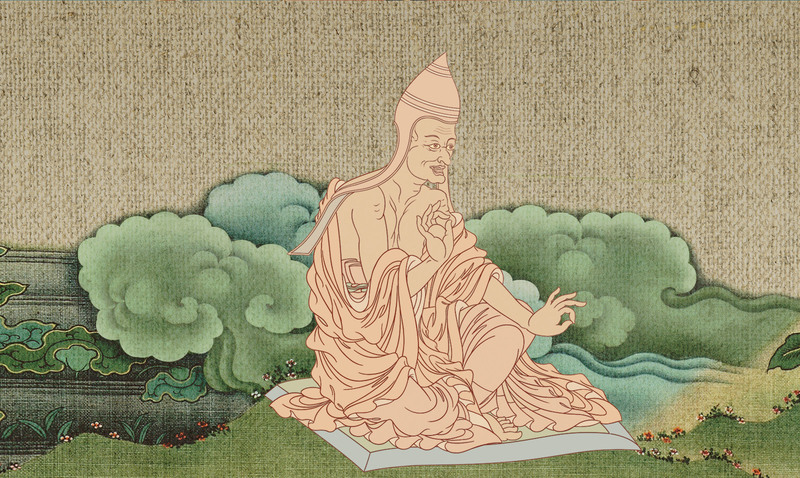 Trisvabhāvanirdeśa is unique in its exposition of idealism as involving the doctrine of the three natures, in its detailed analysis of the natures themselves, and in its exploration of their relations to one another. In Viṃsatikā-kārikā Vasubandhu clearly defends idealism against a series of objections but does not explicitly articulate the roles of the three natures in his idealistic theory or expound its structure. In Triṃśikākārikā Vasubandhu explores the relation between the three natures and the three naturelessenesses (naturelessness with respect to characteristic [laksaṇa-niḥsvabhāvatā, mtshan nyid ngo bo nyid med], naturelessness with respect to production [utpatti-niḥsvabhāvatā, skye ba ngo bo nyid med] and ultimate naturelessness [paramārtha-niḥsvabhāvatā, don dam pa’i ngo bo nyid med]) adumbrated in the Saṁdhinirmocana-sūtra but does not explore their relation to idealism, per se, or their relations to one another. Only in the present text does he explicitly analyze idealism as implicating the three natures and explain in detail how they are interconnected. The thirty-eight verses of the text divide neatly into six sections. In the first six verses, Vasubandhu introduces the three natures and provides a preliminary characterization of each. In verses 7 through 9 he sketches two schemata for thinking about the character of mind from the standpoint of Three Nature theory. Verses 10 through 21 develop a dialectically complex and elegant discussion of how to view the polar pairs of existence / nonexistence, duality / unity, and affliction / nonaffliction in relation to each of the Three Natures, culminating in a discussion of the senses in which the natures are identical to one another and the senses in which they are different. Verses 22 through 25 present the natures hierarchically from the standpoint of pedagogy and soteriology. Vasubandhu presents the famous simile of the hallucinatory elephant conjured by the stage magician in verses 26 through 34. This is probably the most famous and oft-cited moment in this text. In a vivid and simple image, Vasubandhu presents a way of understanding the Three Natures, their relation to one another, to idealism, and the phenomenology they suggest to Buddhist soteriology. The concluding four verses are devoted to the soteriological implications of the text. Which should be deeply understood. And is said to be merely imaginary. Is known as the nature of the consummate. 4 If anything appears, it is imagined. The way it appears is as duality. What is the consequence of its nonexistence? 5 What is the imagination of the nonexistent? It is mind that constructs that illusion. The mind has two aspects. Known as the emerged consciousness it has seven aspects. Of the various aspects of things is so called. Having emerged from the conceptualization of seer and seen. These natures are known to be profound. Is said to have the characteristics of existence and nonexistence. Is said to be both dual and unitary. Are said to be characterized by misery (due to ignorant craving). Are said not to be different in characteristic. In a particular order, it is said. 23 The imagined is entirely conventional. The other-dependent is attached to convention. Is said to be of a different nature. 25 Then one enters the consummate. Its nature is the nonexistence of duality. To be both existent and nonexistent. Have the characteristics of being noncognizable and nondual. One is completely nonexistent; the second is therefore nonexistent. The third has the nature of that nonexistence. The elephant is completely nonexistent. Is explained to be the consummate. There is only a percept. 30 The root consciousness is like the mantra. Reality can be compared to the wood. Imagination is like the perception of the elephant. Duality can be seen as the elephant. These three characteristics are simultaneously achieved. Attainment is accomplished through nondual perception. And so does the perception of the piece of wood. This is how it is in the magic show. There is the vanishing of duality. One will effortlessly attain liberation. There is also the nonperception of mind. Arises the perception of the fundamental nature of reality. Arises the perception of the radiant. Having achieved this, the sage will benefit him or herself and others. Every phenomenon, according to Cittamātra metaphysics, has all three of these natures—three ways of being. It is not the case that some have one nature and some have others; nor that phenomena appear to have one or another of the three, but in fact have another. The three are necessarily co-present in every phenomenon, and are, though distinct, mutually implicative. Let us pause for a moment over the three terms themselves, whose translation into English is no straightforward matter. Each is a nature (svabhāva, rang bzhin). So each is part of what it is to be a thing—not an accidental attribute that a thing might have. But each of the three qualifiers added to this term to denote one of the three natures creates a subtly ambiguous compound, and plays on this ambiguity form part of the structure of Vasubandhu’s ingenious verse treatise. On the one hand, each characterizes the nature itself—part of what it is to be a phenomenon. On the other hand, each characterizes the relation of the subject to the phenomenon, or the character of the subjectivity that constitutes the representation of the phenomenon. This duality is not surprising, for this is an idealistic treatise. As far as Vasubandhu is concerned, to be a phenomenon is to be an object of a mind, and this treatise is an exploration of what it is to be an object so conceived. So questions about subjectivity and questions concerning the ontology of the object are closely intertwined. Vasubandhu begins by sketching in the second and third verses the outlines of the relation between the three natures. In the second verse he focuses on the relation between the first two. Any phenomenon comes into existence in dependence upon various causes and conditions. But Vasubandhu here calls attention to a special dimension of this dependence. For anything to exist as an object, its objective existence depends upon mental causes and conditions. This is a straightforwardly Kantian point, that there are conditions on the side of the subject that make it possible for anything to exist as an object. But whatever is so dependent, and hence, when seen from this standpoint, the content of a mental act, is nonetheless represented as an independent existent. Consider, for example, my perceptual representation of the screen on which these words appear as I type. I see it not as my representation, but rather as something that exists independent of, external to, and standing against my mind and perceptual faculties. No matter how thoroughgoing an idealist I may be in my philosophical moods, ordinary perception delivers me not imaginary objects seen as imaginary, but rather objects seen as external. But they do not, from this philosophical standpoint, exist in that way. In fact they are merely dependent on and, transcendentally, internal to, my mind. For this reason it is appropriate to say that the content of my mental acts, seen as content, is other-dependent, in virtue of its dependence on my mind: but seen as it is experienced, it is imaginary, since considered in the way it appears to exist, it is in fact nonexistent. The third verse emphasizes this last point and uses it to connect these first two natures to the consummate nature: things appear to us as independently existent. They do so in virtue of their dependence upon other such things and upon our minds (which—in an important sense to be discussed later—do share these three natures). But given their actual mind-dependent status, of which we can be aware through careful philosophical reflection or through extensive meditative accomplishment, we can say that these apparent things—independently existent computers, camels, and coffee cups—are always nonexistent. What exists in their place are states of mind masquerading as independent phenomena. That nonexistence—the nonexistence of the apparent reality—is the consummate nature of all phenomena. Vasubandhu here simply repeats the tight connection between the account offered of the status of phenomena as imagined and their mind-dependence. Since the imagined nature is in fact totally imaginary, it does not arise from the side of the thing that appears. Rather, it is an artifact of the operation of the mind. Vasubandhu, in another move prescient of Kant,¹⁸ distinguishes the mind in its role as transcendental subject from its role as object, as it appears to itself. In the first aspect, to which Vasubandhu refers as the “foundation consciousness” (ālaya-vijñāna, kun gzhi), the mind functions as the condition of the appearance of phenomena, and hence as the ground of the possibility of the imagined and other-dependent natures. But in its second aspect—the “emerged consciousness” (pavṛtti-vijñāna, jug pa’i shes pa)—the mind exists as the object of introspection and is conditioned both by external phenomena that appear in perception and by its own phenomena. Hence it constantly evolves and emerges in new states as a consequence of experience. The “seven aspects” to which Vasubandhu alludes are the five sensory consciousnesses, the introspective consciousness apprehending the self as object, and the reflective consciousness of the transcendental subject of experience. These aspects are hence distinguished by their proper objects or spheres of operation. The next two verses develop a threefold account of the aspectual character of mind. These are not intended to compete with one another, but rather as alternate, compossible, ways to understand the multiple roles played by mind in experience. Nonetheless, Vasubandhu argues, the first of these three aspects has a particular connection to the subject side of the self, as per the first division, while the second and third aspects of this threefold division are better aligned with the second side of the first division: the root (mūla, rtsa ba), “consciousness” (the same as the foundation consciousness), is not only the subject of all experience. It is also the repository of all of the latencies, or potentials, more often called the seeds, which, when actualized or “ripened,” become actual phenomena—objects of experience. On the other hand, when the self is represented as an object of experience in introspection, it stands over and against the root consciousness of which it is an object. It is hence in this sense emergent from the root consciousness and is “grasped as other than the self.” In being so grasped, it is grasped as a series of evanescent moments of experience. These latter two aspects hence emerge as aspects of the self considered as object; the first as an aspect of self considered as subject, or as storehouse of latencies. The next eleven verses develop a delicate and logically acrobatic dialectic concerning the interplay of three pairs of contradictories and their relation to the three natures: existence and non-existence; duality and unity; freedom from afflictions and affliction. Vasubandhu will argue that each of the three natures is characterised by both members of each of these contraries. He then argues that these natures are each both identical to and distinct from one another. While it might be tempting and facile to think that here Vasubandhu is simply trading in paradox or irony, this would be a mistake. This important section of the treatise is concerned with the alternation in voices and perspectives represented by the Three Natures: they have a phenomenological side, representing not only the tripartite ontological dimension Vasubandhu sees in all phenomena, but also the three phenomenological perspectives that together constitute the complex subjectivity Vasubandhu envisions. The duality/unity pair concerns subject/object duality. To assert that there is, from a specific standpoint, a duality in this sense is to assert that from that standpoint there is a real distinction between subject and object. To assert a unity or a nonduality is to deny such a duality. The important thing to bear in mind regarding this pair as one approaches Vasubandhu is that questions about duality and nonduality can always be posed in both a metaphysical and a phenomenological voice. So we can ask of each of the natures in what sense it implicates such a duality as part of the structure of the object of experience. But we can also ask the question regarding the nature of the corresponding aspect of subjectivity itself. So in each case we can ask whether, or in what sense, in a subject considering things as other-dependent, and so on, there is such a duality, as well as asking whether, or in what sense, each nature implicates such a duality in the structure of the object. The third pair—affliction/freedom from affliction—introduces specifically Buddhist soteriological concerns. Again, the concerns in play are both ontological and phenomenological. The afflictions are those associated with the suffering of saṃsāra, or cyclic existence. Those include not only physical and psychological suffering themselves but also the craving and grasping that are their proximal causes and, most importantly in this context, the primal ignorance regarding the nature of things that takes the phenomena of experience and the self to be inherently, or substantially existent, as opposed to empty of substance. So we can say either that a mind apprehending an object is afflicted in that it regards that object as inherently existent or that the object as perceived is an afflicted object. In the latter case we are saying that the object itself, through of one or more of its natures, is constituted in a manner essentially implicating the afflictions.²¹ Vasubandhu begins by arguing that the imagined nature involves both existence and nonexistence. Let us work through these verses with an ordinary example in mind. Let us consider a teacup on your desk. Consider its imagined nature. As imagined, it is an existent—indeed independently, substantially existent—teacup entirely distinct from and independent from your mind and mental processes. It endures through time and has a nature all its own. Hence existence, in a very strong sense, is part of its imagined nature. On the other hand, when we move up one level in the dialectic and see that this is merely an imagined nature, merely the way the cup appears to a consciousness, we see that the cup that so appears—the imagined cup itself—does not exist at all, just as no water exists in the mirage. In this sense, the very fact that the cup-as-imagined is only imagined means that though it is imagined as existent, in fact it is nonexistent. Insofar as we simply imagine the cup, we imagine an existent cup. Insofar as we become reflexively aware of that act of imagination, the cup we imagine disappears. Now, consider the same teacup from the standpoint of its other-dependent nature: From this standpoint, the cup exists as an entity dependent upon the mind. The cup so considered certainly exists, as a mental phenomenon, a representation. On the other hand, we can ask what the objective character²² of that representation is. Then the answer is simple and takes us back to the imagined nature: the cup considered objectively is the old, real, independent cup, which, when we understand it from the standpoint of the dependent nature, does not exist at all, simply because from this standpoint it is dependent. So, from the perspective of the dependent nature, the cup—the dependent mental phenomenon we mistake for a real cup—like the refraction pattern we mistake for water, exists. But that real cup that is the content of that mental episode does not. Now we come to the consummate nature of our cup. The cup we have been considering all along, whether from the standpoint of the imagined or the dependent nature, is, in an important and common sense, dual in nature. In its imagined nature it is an independent object of mind and so is distinct from the subject that apprehends it. But in its dependent nature, as an episode of mind, it is still, as a mere episode or mental act, distinct from the mind that is its agent or subject. In the consummate nature, this duality vanishes. For the consummate nature of the cup is the very fact of its illusory status—that it is nothing other than an aspect of mind. Hence the apparent, dual, cup is, in its consummate nature (or, equivalently, from the point of view of one of consummate attainment) utterly nonexistent. But that nonduality really exists. That is the final nature of the cup.²³ And in this sense, the consummate nature embraces both existence and nonexistence—the nonexistence of the cup as dual is its true existence as nondually related to the mind apprehending it. This consideration of duality and nonduality as the mediators of existence and nonexistence in the consummate forms the bridge to the consideration of duality and nonduality per se in the three natures. For a thing to exist as imagined, and for it not to exist in the way it appears, are both diametrically opposed and identical, depending on how one conceives them. For on the one hand, they represent existence and nonexistence, the most opposed of properties. In that sense, the imagined nature is thoroughly dual, encompassing both of these in virtue of the more fundamental subject-object duality it represents. That more fundamental duality gives rise both to the imagined existence of the object of experience, and, when seen for what it is, a mere illusion, the nonexistence of that object in the way that it appears. On the other hand, to exist as imagined just is not to exist in the way a thing appears. In this sense the mode of existence and the mode of nonexistence of the imagined nature—of a thing as it is imagined—are the same, and are nondually related. And this nonduality is rooted in the more fundamental nonduality that emerges when we see from a higher standpoint that a thing as imagined is merely mental, and hence not distinct from mind. Hence the imagined nature is both dual and unitary, depending on how it is conceived. And the object as imagined is experienced dually in a nonreflective consciousness, but nondually by a more accomplished consciousness reflecting on that experience. We can say just about the same thing of the other-dependent nature. A phenomenon understood as other-dependent is both dependent upon the mind that represents it and is also a mere appearance of, and content of, that consciousness. In that sense the object is no different from that consciousness. Hence this nature, too, is both dual and unitary, depending on how it is conceived. The unity of duality and nonduality is perhaps a bit less compelling in the consummate nature. For the consummate nature is virtually defined by its nonduality and by the fact that from its perspective all duality is erased. But Vasubandhu is concerned to argue that it, too, in a sense, participates in duality, and this for two reasons. The first, and least interesting, is his obvious drive for poetic symmetry in the exposition. The second reason is a bit more philosophically interesting: the pair duality/unity is itself a duality and so should, from the standpoint of the consummate, be overcome. So to say that the consummate nature is nondual, or unitary as opposed to being dual would be self-defeating. So Vasubandhu needs to achieve a kind of sublation of duality and nonduality in the consummate. And he achieves this by noting that while the consummate nature itself may be nondual, it is nonetheless the nature of dual entities—entities that appear in their imagined nature, in virtue of their other-dependent nature. Inasmuch as it is a nature of dual entities, then, the consummate nature can be said to be dual. This verse introduces the discussion in stanzas 17 through 21 of the sense in which the three Natures are identical to one another despite their apparent differences. Vasubandhu begins by emphasizing the prima facie ontological and soteriological gulf separating the imagined and the other-dependent from the consummate: the former are on the side of saṃsāra; the latter is on the side of nirvāna. The former two represent the aspects of phenomena apparent to a mind beset by primal ignorance, and hence by the suffering it engenders; therefore also the aspects responsible for the perpetuation of that ignorance and craving on the vicious circle of ignorance, grasping, and suffering that constitutes cyclic existence. The third, on the other hand, represents that aspect of phenomena apparent to a mind that has transcended all of that, and the aspect that conduces to the alleviation of suffering.²⁴ But, as we shall see, this prima facie ontological, epistemological, and phenomenological gulf will be obliterated in the final union of the Three Natures. Vasubandhu now begins the task of unifying the Three Natures as three mutually implicative aspects of a single reality. He begins with the relation between the imagined and the consummate: the imagined nature is essentially dualistic, in that it involves an ontic distinction between subject and object; but seen as imagined, that duality is in fact seen to be nonexistent. But the nonexistence of that duality is exactly what the consummate nature is. The imagined nature and the consummate nature are hence, from an ontological perspective, not different from one another. The difference is only apparent, representing a difference in perspective, rather than one of reality. The next verse makes the same point in the reverse direction. Verses 20 and 21 are devoted to establishing the identity of the consummate and the other-dependent natures. The point in (20) is parallel to that made with respect to the imagined nature. The dependent nature is deceptive, in that phenomena that are so dependent appear to be distinct from—although dependent upon—the subject. But when that nature is seen, from a higher perspective, to be not only dependent, but to be the fact of being merely mental, and hence nondifferent from the mind on which the phenomena depend, that understanding is the understanding of the consummate nature of things. Again, the difference between the natures is revealed to be not ontological in character, but merely perspectival. The parallel to the relation between the imagined and the consummate natures is emphasized in (21). The other-dependent, like the imagined, is dualistic in character. But when things experienced in their other-dependent nature are seen to be so experienced, the duality vanishes, and the nonexistence of that duality is the consummate nature itself. The apparent difference between the natures is hence, for Vasubandhu, a difference not in the object—in the ontological character of phenomena, but rather in the subject, and hence not a difference in nature, but a difference in experience of a single triune nature. Nonetheless, though the three natures are at a deeper level a unity, pedagogically they form a hierarchy. There is an order in which they must be presented for the sake of clarity and soteriological efficacy. This is the topic of stanzas 22 through 25. The imagined nature is the easiest to present first. It is the way that ordinary, unreflective persons represent things. The other-dependent, while constituting a more sophisticated view of things, remains at a conventional level. It, however, has real soteriological use, starting the process of freeing the mind from the tyranny of convention and fundamental ignorance, and providing a bridge to a more transcendent view. Finally, awareness of the consummate nature allows the move to a fully awakened view of reality. On the other hand, Vasubandhu claims, the order of understanding the nondual characters of the two conventional natures is reversed. It is easier to see that the dependent nature is nondual. For once one has ascended to an awareness of this nature, and hence of the multiplicity of the natures of phenomena and of their mind-dependence, it is possible to see phenomena as nondually related to mind. One can then reflect on the imagined nature—initially experienced as a dualistic relation to appearances—and see it, too, as nondual in character, in virtue of the identity in ontic status between subject and object in that nature. One must bear in mind that the point being made in this and the surrounding verses is pedagogical: as long as one experiences only the imagined nature, it is hard to see things nondualistically. That ability is made possible by the understanding represented by awareness of the other-dependent nature and then reflectively applies to the other-dependent. Moreover, once one has thoroughly understood both of the merely conventional natures, including their apparent dualities, but the unreality of each duality, one sees that all phenomena are both apparently dual and ultimately nondual. That is their consummate nature. Realizing this nature is the consequence of a complete understanding of the other two. This verse sums up the result of the previous two discussions: going “from top to bottom,” the consummate nature is noncognizable because all cognition, as discursive, is inescapably dualistic; the other two natures are nondual when seen from that perspective, despite the duality engendered from within the perspective of each. But going the other way, the nature that is imagined is completely nonexistent from any higher perspective. Therefore, the other-dependent nature, being the dependence of a nonexistent entity on the mind, is also nonexistent, when seen from the standpoint of the consummate. And the consummate is just the fact of the nonexistence of the first two. Thus, Vasubandhu concludes, despite the vast difference in the phenomenological character of the three perspectives from which phenomena have these three natures, the natures themselves are identical, joined in the object in virtue of its ideality. The magician, allegedly using a mantra, causes the astonished audience to see an apparition of an elephant. But, we are assured, there really is no elephant. The illusion is engendered purely by the skill of the magician and the gullibility of the audience. Now we can see the diverse aspects of subjectivity marked by the Three Natures as well as the ontological unity of the natures in the object (or putative object) they characterize. The nonexistent elephant—the apparent object of perception—is the elephant. The deluded audience believes it to exist, due to decidedly non-pachidermic causes and their own deluded ignorance. But nothing in fact exists in the way the elephant appears. But there is indeed a percept—not a living, breathing elephant—but a psychological episode brought into and sustained in existence in dependent on numerous conditions. This corresponds to the dependent nature. And the fact that there is no elephant in this percept—that the elephant is completely nonexistent and the percept is purely mental—is the consummate nature. Note that this is a simile, and not a literal model of perception. It is crucial that to a naive observer, the hallucinated elephant appears as real and independent. To one “in the know,” there is a real percept, but one that is decidedly not an independent elephant, and whose existence is entirely dependent on the state of mind of the member of the audience. And finally, the full story is that there simply is no elephant at all—not even one in perception—only a hallucination that is purely mental and entirely in the mind of the audience member. Just as the imagined nature of my teacup is that it is an independent object; the dependent nature is that it is my mental representation and not an independent external object; and its consummate nature is its complete nonexistence from a transcendental point of view. Just as through the force of the magician s incantations and manipulations the illusory elephant appears, through the force of our own mental predispositions the percept appears. But just as the elephant is purely hallucinatory, the percept is purely mental. The psychological basis of appearances, for Vasubandhu and his Cittamātra followers, is the root consciousness and the potentials it contains for experiences. The mantra, the magician’s incantation, is the basis, or cause, of the hallucination of the elephant. But the magician, in this analogy, has a prop—a piece of wood. (How this trick is actually performed is utterly mysterious at this point.) So what appears to be an elephant is actually a piece of wood, transformed by the magician into an apparitional elephant. Likewise, in experience, what appears to be an independent object is in fact a mere mental episode, caused by the actualization of latencies in the root consciousness to appear as independent. “Reality,” (tattva, de bzhin nyid) in this context, refers to the dependent nature, since that nature gives us the perceived object as a mere percept as opposed to as the object it appears to be. The imagined nature, on the other hand, is analogous to the hallucinated elephant, and the nonexistent duality is like the intentional object of that hallucination, the nonexistent elephant. The concluding verses of the text are devoted to its soteriological implications. For Cittamātra philosophy, like any Buddhist system, is soteriological in intent. The point of the system is to gain liberation from the delusions, attachments, and suffering of saṃsāra in order to be able to assist other sentient beings in accomplishing the same. 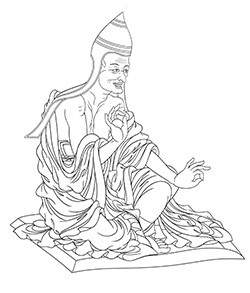 From the Cittamātra point of view, the root delusion is to interpret the imagined nature of things to be their reality, and to fail to appreciate the other two natures and the identity of the Three Natures, and hence to fail to achieve the viewpoint represented by the consummate nature that reveals the world as it is. To understand how things are is to understand all Three Natures simultaneously and in their correct relations to one another. This amounts to perfect knowledge of the ontology of the world and of the character of ones own subjectivity. That in turn means to abandon attachment to the imagined phenomena craved by one who believes them to be real as they appear in imagination, and that is to accomplish the goal of perfect insight into the nature of things and consequent freedom from the craving that is the necessary condition of ignorance and afflicted action. Perfect knowledge of this kind is nonperception in the sense that it is objectless, for the objects of ordinary perception are seen to be illusory, and the duality of perceiver and perceived that structures perception is transcended. Abandonment of commitment and attachment to imagined phenomena is achieved through the transcendence of instinctive assent to the imagined nature. The attainment of freedom is accomplished through the direct, immediate understanding of the unity of the Three Natures, and hence the nondual awareness of all phenomena in their consummate nature. For one who has attained this kind of knowledge, Vasubandhu claims, this cognitive relation to things is direct, intuitive, and immediate—not the consequence of constant philosophical analysis—but the primary way of taking up with the world, albeit through long analysis and practice. Here Vasubandhu returns to the analogy in order to explain the structure of this accomplishment. When one sees through the trick—when one stops being taken in by the show—one stops seeing the elephant, and the percept vanishes. One no longer sees the piece of wood as an elephant at all. All of the illusion ceases. Similarly, through an accomplished perception of things in accord with the Three-Nature theory, one stops seeing the dualistically represented phenomena. Those things, as they are seen by an ordinary, deluded consciousness, completely disappear. One sees through the show of ordinary experience, and the illusion ceases. One sees things simply as they are, without duality, without ascribing to them independent reality, as having all of the Triune Natures, each understood fully from the standpoint of the consummate. This understanding has, Vasubandhu here announces, soteriological consequences. Through understanding that one’s mental states do not represent an independent reality, and through understanding fully the Three Natures and their relations to one another, attachment to objects as genuinely real and as legitimate objects of craving ceases. They are only dream-objects, nothing to take seriously, including both objects perceived as external, and one’s self as it appears to oneself. 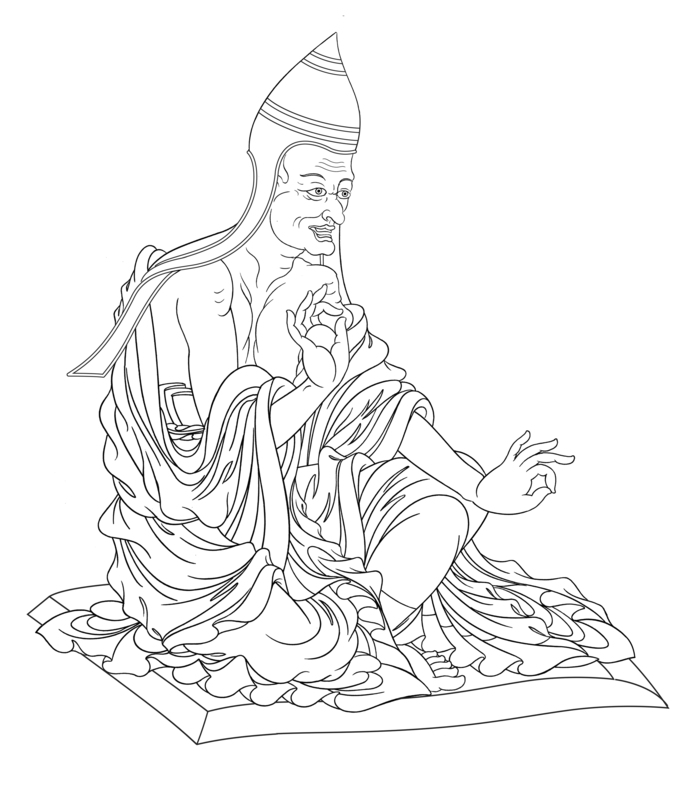 The attendant cessation of grasping and of attachment is precisely the cessation denominated by the term nirvāna. This verse emphasizes the connection between the release from attachment to external objects and the release from attachment to self. One begins the Cittamātra analysis by seeing all phenomena as purely mental. This dissipates the view that external phenomena are real. But with this realization comes the realization that the mind we experience—the self we cherish—is every bit as much an object for us (albeit of inner and not outer sense) and so is every bit as unreal as the outer objects to which it is so easy to become attached. Our self-attachment is hence revealed by this analysis to be every bit as much the product of ontological delusion as is our attachment to external phenomena. This realization is the full understanding of the Three Nature theory and its implications. The fundamental nature of reality is its threefold character, and the unity of this threefold character in the ultimate nonduality of all that appears as dual. The experience of the world in this way is, Vasubandhu claims, a radiant, or totally illuminating gnosis. The deep insight embodied in this gnosis, coupled with the altruistic aspiration to attain liberation for the sake of other sentient beings, enables the practitioner, through physical acts (the use of the form-body), through the blissful detachment from suffering that enables one to take the welfare of others fully into account (the fruits of the enjoyment-body) and through thorough understanding (the truth-body) to be maximally effective on behalf of others. My reading of this text has developed as a result of many conversation with and instruction from teachers, students and colleagues. I thank in particular Janet Gyatso for extended discussion of Cittamātra philosophy in general and this text in particular, the Ven. Geshe Yeshes Thap khas for several teaching sessions, the Ven. Gen Lobsang Gyatso for several useful conversations and Karen Meyers for a number of spirited discussions of this text and of Cittamātra philosophy in general. Moira Nicholls read an earlier version and made a number of useful suggestions. Jens Schleiter has made many very helpful suggestions regarding both the translation and commentary. Both are much improved as a consequence. I also an anonymous reviewer for Asian Philosophy for pointing out lacunae in an earlier version. Thanks also to Sri Yeshi Tashi Shastri and Jamyang Norbu Gurung for research assistance. ¹ See, for example Nāgārjuna’s Mūlamadhyamikakārikā (Garfield 1995) or Candrakirti’s Madhyamakāvatāra (translated in Huntington, and Wangchen 1989). ² See also Vasubandhu’s Madhyāntavibhāgabhāsya and Triṃśikākārikā in Kochumuttom 1982 and Anacker 1984 for further expositions of this view. ³ While such comparisons will prove useful, and while the affinities are real, one must be careful not to push the comparisons too far. There is a specifically Buddhist context to Vasubandhu’s idealism, and the different philosophical milieus of medieval India and modern Europe generate distinct philosophical positions and moves. It is well beyond the scope of this commentary to address all of the relevant similarities and differences, or even to spell out all of Vasubandhu’s arguments or system. See chapter 8 of this volume for more on comparison between Vasubandhu’s idealism and Western versions of that doctrine. ⁴ A possible reason may be that this text was written when Vasubandhu was quite advanced in years. It was probably composed at Ayodhya during the last year or two of his life. ⁵ Compare, for instance, the presentation of the three natures in the Saṁdhinirmocana-sūtra in which these ontological claims are completely absent. ⁶ See Legs bshad snyings po, translated in Thurman 1984. ⁷ See sTong thun chen mo, translated in Cabezón 1992. ⁸ See chapter 6 of this volume, for more on Cittamātra doxography and on the relation between the three natures and three naturelessnesses and chapter 9 for more on Sthiramati’s commentary on Triṃśikākārikā. ⁹ Translated in Huntingdon 1992, see esp. pp. 162–68). ¹⁰ This translation is from the Tibetan text. The principal version used is that in the sDe dge edition of the Tibetan canon (Si 12a–14a). The Peking edition was used for comparison, and is in complete concordance. Anacker (1984) and Wood 1991 each reprint the original Sanskrit text. ¹¹ Again, it is interesting to contrast this presentation with that of the Saṁdhinirmocana-sūtra, where this dependence is explicitly characterized as dependence on other nonmental causes and conditions. Vasubandhu is clearly developing an idealistic position that contrasts with the strikingly nonidealistic ontology of the Saṁdhinirmocana-sūtra. It is in large part due to doxographic imperatives to unify the Yogācāra corpus theoretically that so many Tibetans read the Saṁdhinirmocana-sūtra as idealistic and that so many contemporary Western scholars have lately argued that Vasubandhu is not an idealist. (See chapters 8 and 9 for more on this topic.) Both imperatives should be resisted, as the tradition is internally diverse. ¹² Kochumuttom 1982, Thurman 1984, Wood 1991, Powers 1995, Anacker 1984, Nagao 1991, and Cabezón, 1992, respectively. ¹³ Contrast this with the standard presentation of Cittamātra metaphysics in dGe lugs pa doxography, following Sthiramati, according to which the second and third are real, but the first—the imagined nature—is completely unreal. See rje Tsong khapa in Thurman 1984, pp. 223–30 and mKhas grub rje in Cabezón 1992, pp. 47–61. See also Meyers 1995, ch. 2. On the other hand, as Tsong khapa and his followers correctly emphasize, there is something special about the second two natures. Each is established through its own characteristic, not from the side of the conceptual mind. ¹⁴ See Kant 1965 and Berkeley 1954. ¹⁵ Schopenhauer 1974, pp. 273ff., idem 1969 §4. See also “Criticism of the Kantian Philosophy” in Schopenhauer 1969. ¹⁶ Schopenhauer, 1969 §§19, 23–24. ¹⁷ This is not to say that Schopenhauer charges Kant with the failure to postulate a noumenon—only that he charges Kant with the failure to see that this noumenal character is a third nature of the object, one that is knowable immediately, without subject-object duality. Again, in this respect Vasubandhu’s idealism is far closer to Schopenhauer’s than it is to Kant’s. I thank Dr Moira Nicholls for pointing out the need for clarity on this point. ¹⁸ See the analysis of time as the form of inner sense and hence of the empirical character of self-knowledge in the “Transcendental Aesthetic” (Kant 1965, b155–159). ¹⁹ It is not, however—to put it mildly—at all obvious that these etymological claims are at all accurate. ²⁰ Again, the anticipation of Kant’s account of empirical self-knowledge is striking. ²¹ This becomes complex and leads to an analysis of saṁsāra itself, and the sense in which everything in saṁsāra can be said to be afflicted—to be caused by and to be a cause of suffering, and in a deeper sense to have suffering and primal ignorance as part of its very ontological structure; and then to an analysis of a specifically Yogācāra understanding of saṁsāra. But that is beyond the scope of this commentary. ²² In the scholastic or Cartesian sense—the character of the mental object itself. ²³ Note how this account of the ultimate nature of a phenomenon contrasts with that given by mādhyamika philosophers such as Nāgārjuna or Candrakirti, according to whom not even the emptiness of the cup can be said to exist in this sense. It is at this crucial point in ontology that Cittamātra and Madhyamaka are utterly discontinuous. See Siderits, 1996 and chapter 9 of this volume. But see Nagao 1991, n.13, for a contrary view. ²⁴ This contrasts once again with the standard dGe lugs pa view according to which the important ontological divide is between the imagined nature and the other two. On this view, the imagined nature is wholly false, while the other-dependent and consummate natures are both truly existent. ²⁵ See, for instance, mKhas grub rje in Cabezón 1992, p. 50 n.13. ²⁶ The one significant ontological doctrine associated with Cittamātra philosophy that does not appear here is the theory of the Three Naturelessnesses (trinisvabhāva / ngo bo nyid med gsum) that takes center stage in the Saṁdhinirmocana-sūtra. In Triṃśikākārikā Vasubandhu connects this docrine to trisvabhāva theory, arguing that each nature is natureless in one of these senses. Sthiramati, in his commentary on this text, argues that in fact the Three Natures and the Three Naturelessnesses are the same—a view adopted by such Tibetan exegetes as Tsong khapa and mKhas grub. This is not a view that Vasubandhu ever articulates, however, and while he uses the trinisvabhāva in explicating emptiness in Madhyāntavibhagabhāsya, it is not, on his view, a doctrine specifically connected to idealism and so has no role in the present text. See chapter 6 for more on the relation between the Three Natures and the Three Naturelessnesses. JAY L. GARFIELD is Doris Silbert Professor in the Humanities, Professor of Philosophy and Director of the Logic Program and of the Five College Tibetan Studies in India Program at Smith College, Professor in the graduate faculty of Philosophy at the University of Massachusetts, Professor of Philosophy at Melbourne University and Adjunct Professor of Philosophy at the Central Institute of Higher Tibetan Studies. He teaches and pursues research in the philosophy of mind, foundations of cognitive science, logic, philosophy of language, Buddhist philosophy, cross-cultural hermeneutics, theoretical and applied ethics and epistemology. Among Garfield’s most recent publications are his translation, with the Ven. Prof. Geshe Ngawang Samten of the Fourteenth-Fifteenth Century Tibetan Philosopher Tsong Khapa’s commentary on Nagarjuna’s Mulamadhyamakakarika (Ocean of Reasoning) and Empty Words: Buddhist Philosophy and Cross-Cultural Interpretation (Oxford University Press 2002 and 2006, respectively). Published in “Empty Words. Buddhist Philosophy and Cross-Cultural Interpretation.”, Oxford University Press (2002), pp. 128–151.